Officers have arrested a man suspected of killing a good Samaritan sailor who pulled over on a freeway ramp to help him, police said Sunday. 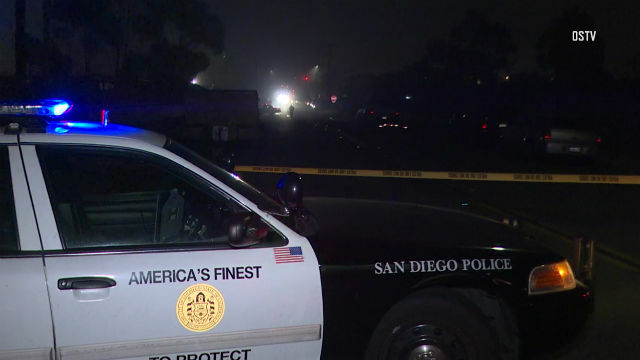 Brandon Acuna, 21, was held on suspicion of shooting Curtis Adams, also 21, when Adams stopped to help who he thought was a stranded driver early Saturday morning, according to San Diego police Lt. Anthony Dupree. Adams’ girlfriend called police around 2:20 a.m. to report Adams had been shot on the transition ramp from southbound state Route 15 to northbound Interstate 5, Dupree said. The active duty sailor was believed to have been driving with his girlfriend when he noticed a stranded car on the ramp and stopped to help, according to Dupree. “The victim exited his vehicle and was immediately shot,” Dupree said. Adams was taken to a hospital, where he was pronounced dead. The suspected killer was seen fleeing on I-5 in a white car. CHP officers later noticed a car matching the suspect vehicle’s description stopped on northbound I-5 near 32nd Street, Dupree said. Police headed to that location and detained the driver, identified as Acuna. Police asked anyone with information on the shooting to call San Diego Police Department homicide detectives at (619) 531-2293 or Crime Stoppers at (888) 580-8477.